If you claim benefits before you reach your full retirement age (which varies by year of birth) and you earn in excess of the earnings limit (which is adjusted upward along with inflation each year) then your Social Security benefits will be reduced. People who think they can be fully employed and collect their Social Security benefits are often caught off guard when the Social Security office tells them they made too much money and they have to repay some of the benefits. Once you reach full retirement age, you can earn as much as you’d like with no reduction in benefits. You can not turn off your Social Security benefits easily. If you change your mind about claiming within 12 months of filing, you can repay all your benefits and things will reset as if you had never claimed. But you cannot simply stop your benefits and then choose to start again later. Avoid this issue by carefully planning early. Work with a financial planner to decide when you can stop working and when your Social Security benefits will start. Once they start, see this as a permanent income stream. As a couple, if you coordinate the claiming of your Social Security benefits, you can often get more than if you each make your own independent decision. 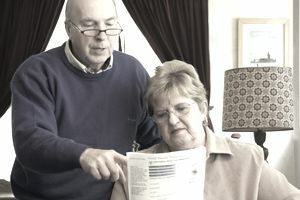 Most people look at when they should start their own benefits, but they don’t realize that depending on the differential in age and benefit amounts between them and their spouse, and if one of them were born January 1, 1954, or earlier, they might be able to claim a spousal benefit, while letting their own benefit continue to grow or vice-versa. As a married couple, whichever of you receives the higher benefit amount — that is the amount that will continue for the longest spouse to live. This means it is important to maximize the benefit of the highest earner, as it can provide a powerful form of life insurance: inflation-adjusted income for as long as a surviving spouse needs it. Don’t claim early without considering the impact that may have on a long-lived spouse. In survey after survey, upcoming and existing retirees state their number one fear is running out of money in retirement. A smart Social Security claiming strategy can help protect against this outcome. Yet people claim with no analysis. Social Security benefits will provide over $1 million in benefits for many couples. Would you make a decision about $1 million with no analysis? You can use a Social Security calculator to help you avoid costly Social Security mistakes. It’s great to check out the calculators, and we recommend you play around with them, but coordinating when and how you take retirement withdrawals in a tax-efficient manner requires a great deal of expertise. Consider finding a good retirement planner before you claim. Start your retirement planning well before retirement. Work with a financial planner decades before you reach retirement age if you're in the earlier years of your career. If you're not, that's ok — find a fee-only planner to put together strategies that start today.